In geography, a quadripoint is a point on the Earth that touches four distinct regions i.e. confluence of four borders. Unfortunately there is no quadripoint involving International borders of four countries. While confluence of three nations is quite common but no four countries actually meet at a single point. 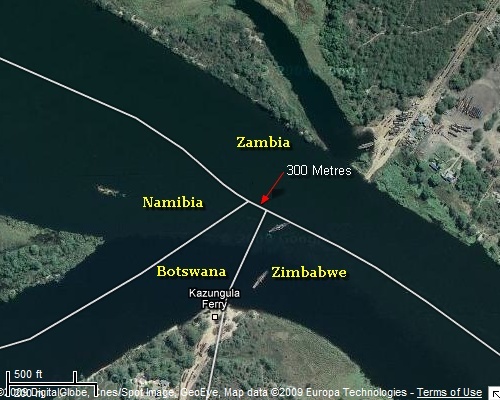 The only nearest example of quadripoint involving four different countries is the border between Namibia, Zambia, Zimbabwe and Botswana in the vicinity of the confluence of the Zambezi River with the Chobe River near Kazungula. 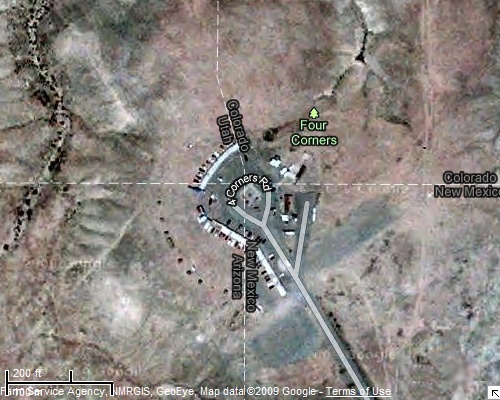 In realty it is not a quadripoint but two tripoints which lie only 300 metres from each other. This may appear as a quadripoint on map of lower resolution however a higher resolution map shows the true position. Ensuing images taken from Google Maps will amply clarify this. In this image the four countries appear to meet at "A". However the zoomed image given below shows that actually there are two tripoints about 300 metres apart. View location in Google Earth Google Maps (make sure that the 'border layer' or 'show labels' is enabled in Google Earth, Google Maps respectively). Although there is no primary (international) quadripoints, but there are few examples of secondary quadripoints i.e. 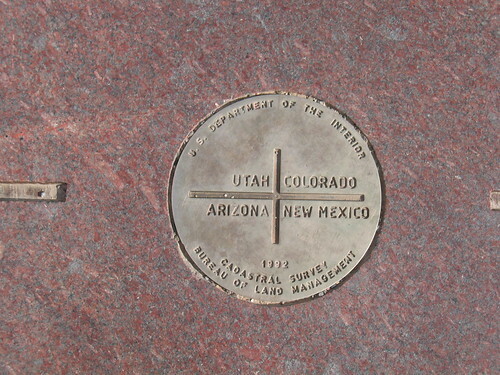 confluence of borders of 4 states or administrative regions of a Country. 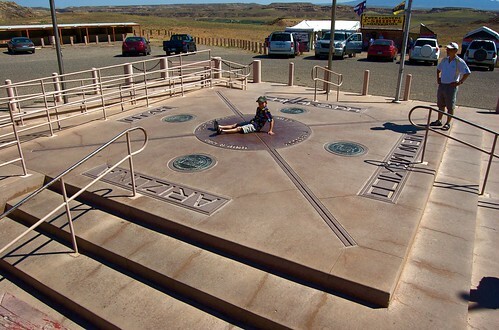 The confluence of US states of Utah, Colorado, New Mexico, and Arizona is the most famous secondary quadripoint. 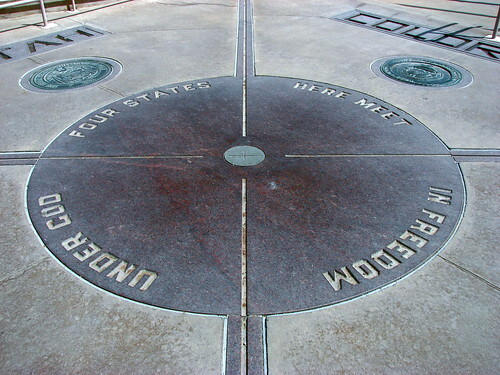 Known as "The Four Corners" it is the only point in the United States of America where four states meet and that too at right angles. "Other countries that enjoy positively confirmed or at least very probable secondary quadripoints are Andorra, Bulgaria, Colombia, the Dominican Republic, Gabon, India, Jamaica, Liechtenstein, Libya, Mauritania, Oman, Sudan, Uganda, and Vietnam." I leave it to my readers identify these quadripoints! 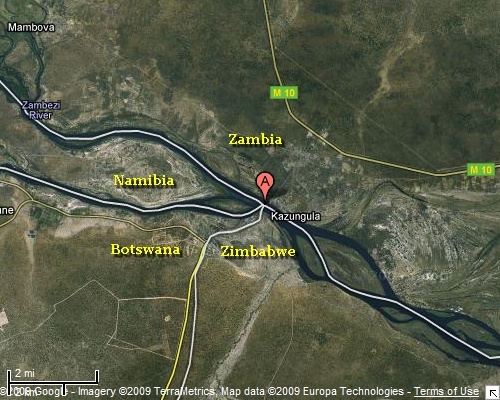 so it may really be namibia & zimbabwe who will meet rather than botswana & zambia when everything finally gets straightened out for it is also true that several of the boundary ends that supposedly meet there are presently in some disarray or disagreement but even allowing for all that the prospective mini boundary is looking way shorter than 300 meters. The link to the official UN Tripoint Registry Yearbook sent by him is a virtual treasure trove for the Geography buffs. Thank you for your nice and very informative comments. I have included these as an addendum to my original post.